Let York Minibus make your Wedding Day in York an unforgettable one. From courtesy post-reception transport for your guests to VIP transport services for the attendees at your reception, York Minibus will make sure that your exacting standards for your wedding transportation are met, if not exceeded. Known for its beautiful medieval churches, York is a splendid place for a marriage ceremony. If you’ve chosen the city for your forthcoming nuptials, then we’d like nothing more than to be a part of your big day. Rely on us to handle the transport aspect of your wedding so that the schedule runs smoothly and according to plan. The lovely Trinity Church, St. Olave of York, St. Michale le Belfrey, St. Lawrence Church, St. Wilfred’s Catholic Church, the Ark Church and the York Baptist Church are just some of the most popular ceremony venues in York. Over the years, we’ve seen countless brides and grooms step out as newlyweds, and joined them as they made their first journey as husband and wife to the reception venue of their choice. The Principal York, Marriott, Hilton, Merchant Adventurers’ Hall, Wood Hall Hotel and Allerton Castle, to name but a few, have welcomed us and our customers on their special day. We understand the importance of making your guests’ transportation a seamless process, and we strive to ensure that everyone arrives in a timely fashion to witness the most important moment in your life. We also make it our duty to ensure a safe and comfortable journey home for your guests when the last event of the day draws to a close. 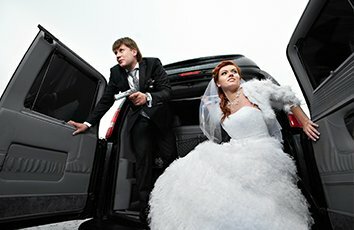 To that end, please feel free to get in touch whenever it’s convenient to you so that our experienced representatives can help you plan your wedding transportation to your satisfaction.